Thing is, this is true. Travel won’t be the same, but that doesn’t mean that it has to end, or even that you won’t travel more, or that on top of it all it won’t be more enriching. Growing up as a kid in the 1980s, I didn’t get on a plane, ever. Not until I was thirteen did I go on my first flight. But now, my two boys, ages two and five, are growing up in the 21st century, where flying is a big part of life for our family. It isn’t a piece of cake, but with the right prep, patience, and attitude I’ve had some of my best travel years with them, and the oldest hasn’t even entered the first grade. As a parent, I’ve consciously taken my boys on more planes than many of my peers. Why? Well, here’s how I see it. As a mom it’s your job to entertain your kids. So, you might as well have fun doing it. Just because you become a parent doesn’t mean you have to stick to your neighborhood park and backyard. Let’s face it, going to the same playground everyday can get boring. I saw myself wanting something more from those precious moments of my sons' childhoods. I needed to entertain my kids. I wanted to see the world. Why couldn’t I do both at the same time? There are just as many playgrounds in Osaka, Paris, and Sydney as there are in my hometown, but I wanted to see more. I wanted to expose my boys to world-class museums, multiple languages, foods, and historical monuments. I wanted to see the wonders of the world with them, not wait for them to grow up and for me to reach retirement so I could take a river cruise to see them alone with my husband. Travel isn’t easy. Neither is parenting. Too many parents don’t see the value in traveling with their kids, while they still complain about not getting to go anywhere. 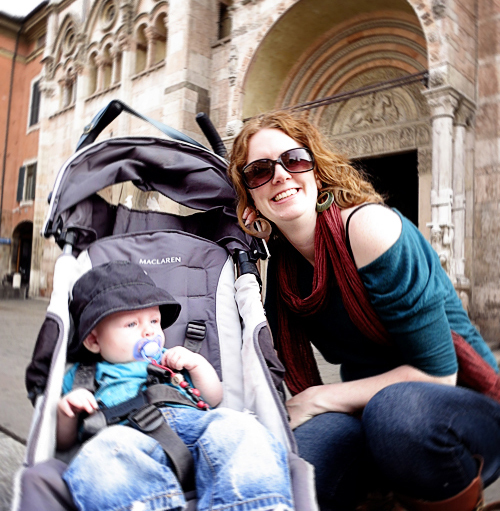 When I was pregnant with my first child, I made a decision: I wouldn’t let go of my desire to see the world. I may have to be in by 7 pm for bedtime. I might not get to stay out late at a restaurant with friends as much, but I was not giving up on my wanderlust. I made it a priority. I do have to get creative with how we see the “boring” sights, like palaces and cathedrals. There are promises of playgrounds and ice cream on every trip. Cameras are given to little hands that will most likely drop them in a church pew while taking photos of the ceiling. But does bribing my kids so that they can see the world make me a bad mom? Not at all. The benefit that we all get from traveling, greatly outweighs extra deserts and the occasional damaged camera. Travel has brought our family closer together. With every trip my sons get my full attention because day-to-day dishes, emails, bills, and schedules aren’t there to distract us. We always leave room in our tinerary for the kids to decide. If the boys see something cool they want to check out, there’s no reason to stop them. They’ve found the most amazing things that aren’t in any guidebooks, like small shrines on the streets of Hong Kong, and whimsical side streets with an unlisted restaurant in Italy. 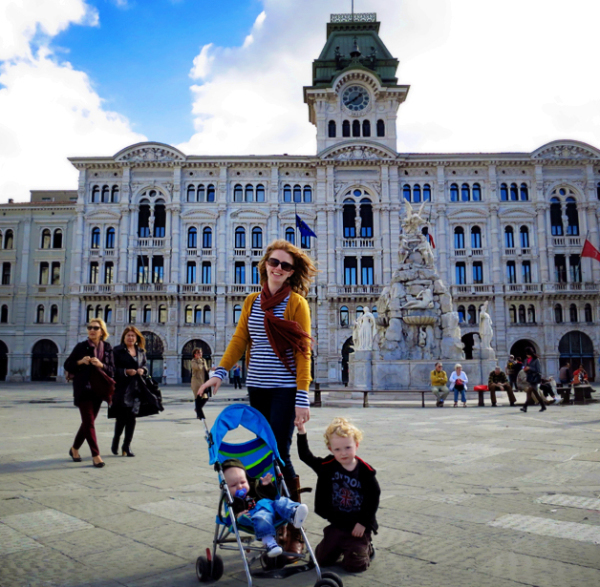 My sons have opened my eyes to a world I would've missed if I were traveling alone or just with my husband. We would have packed our itinerary with the “must sees” and missed the little moments only kids can bring to your life and your travels. My dreams of traveling the world have not diminished with the birth of my sons; it has only grown. Since I started traveling with my boys we’ve been to China, Japan, Hong Kong, England, Italy, Slovenia, Croatia, Switzerland, Mexico, Dominican Republic, Canada and all across the USA. I’m not a full time traveler, but we’ll continue to travel as much as possible until a new passion takes over and becomes bigger than our wanderlust. Let’s hope that day never comes. 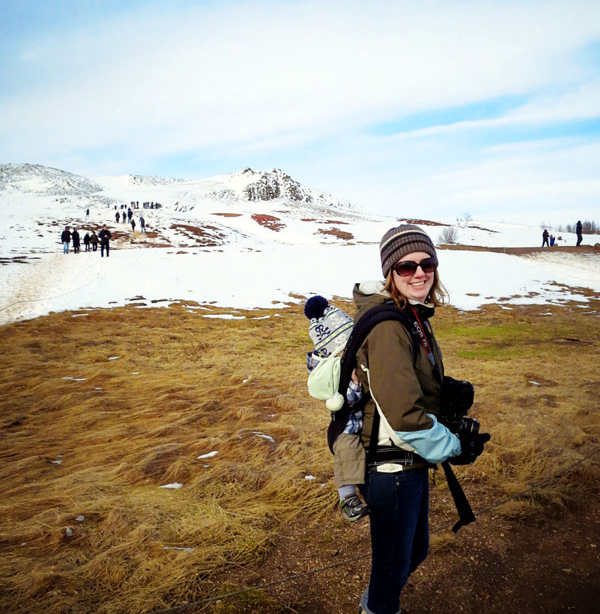 Keryn Means is a freelance writer and founder of Walking on Travels, a site that gives hope to today’s modern parent who doesn’t want to stop their lives; they simply bring their kids along for the ride. You can find Keryn dragging her two boys around Washington D.C. most days and across the globe several times a year.